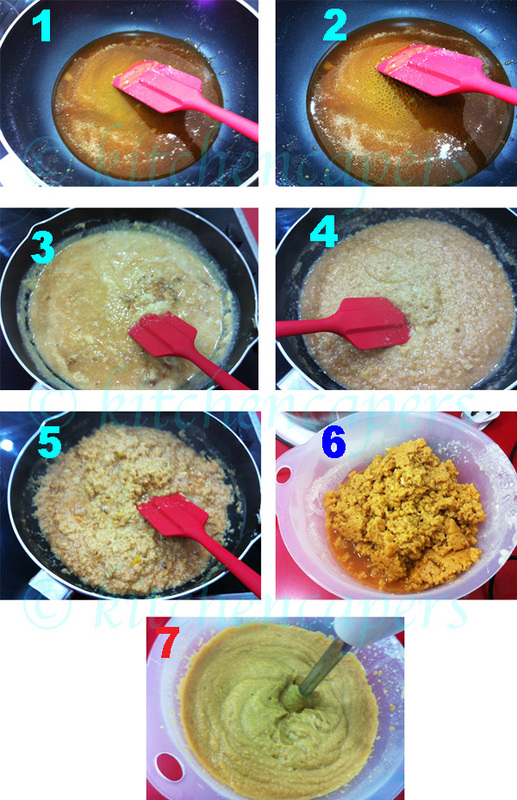 ok, these photos are similar to the Brown Kaya photos..But I want to show this with an added twist..I have taken photos of this using a normal non stick frying pan and a silicone spatula. Works fine! 1. 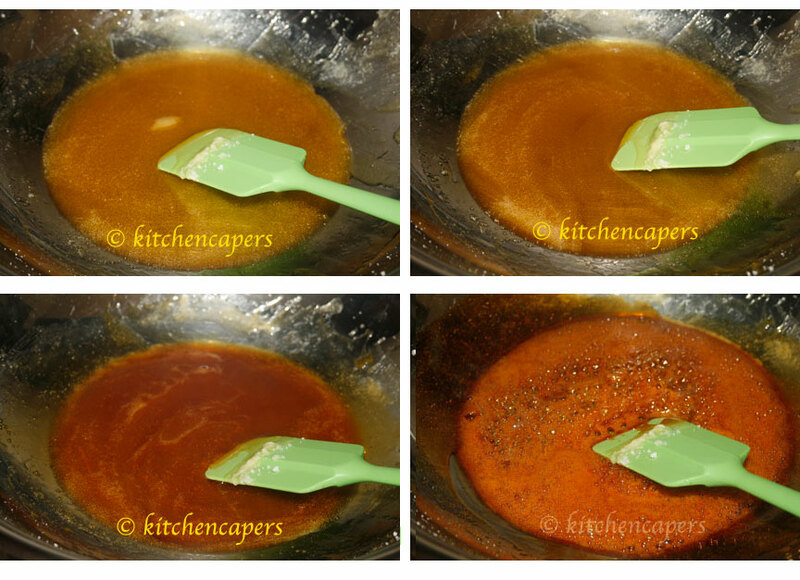 Add sugar to a non stick wok, turn on the fire. 2. Using a silicone spatula to stir, must STIR STIR STIR..or it will burn..! Look at the photos..it slowly melts and changes to pale brown. 3. 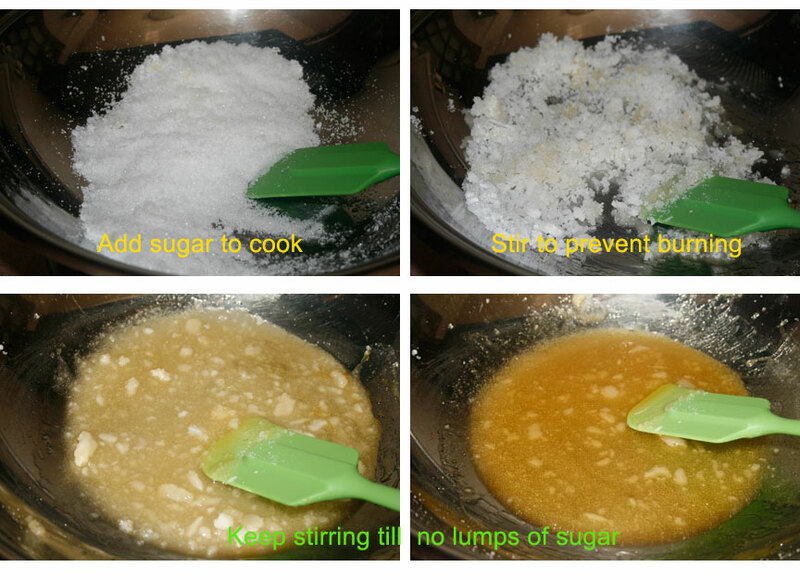 Lower the heat/fire and continue to stir until no lumps of sugar are left. 4. Depending on how dark brown a shade you prefer, leave the low heat on to slowly burn the syrup to a colour shade you prefer. 5. Turn OFF the Fire for a while. At this time whip up the eggs and mix with coconut cream. 6. 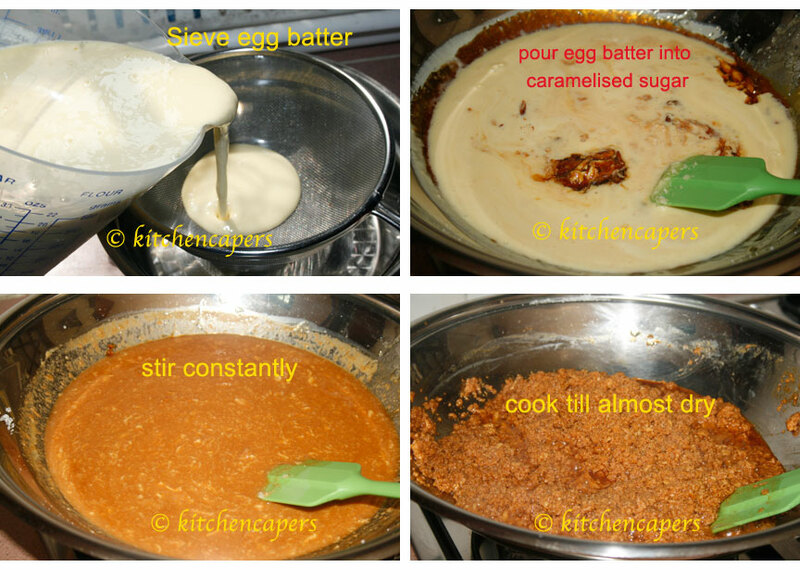 Sieve the egg mix to remove any egg white lumps or the 'stray' egg shells if any. 7. Pour the mix into the pot...you will see that some part of the syrup will lump together. 8. Turn ON the fire now and keep stirring..the mixture will come together again. 9. Stir till the kaya is almost dry and looks lumpy. 10. 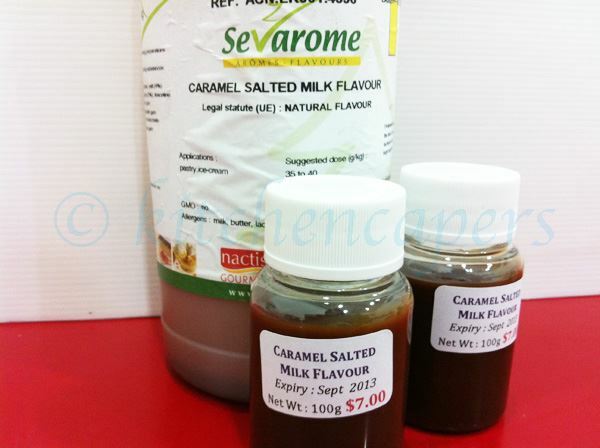 Turn off fire and add the salted caramel into the cooked kaya and blend it in a blender till smooth. 11. Leave it to cool before bottling it. 12. 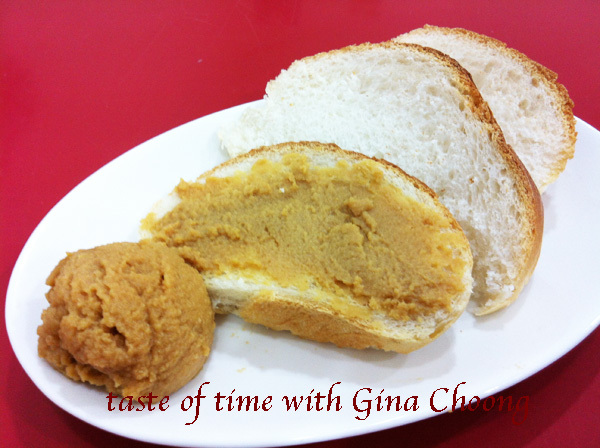 Best to keep it in the fridge as home made kaya has no preservatives and will not keep long in our hot kitchen. Gina, when do you add in the flavor, in this case, the salted caramel? oh..forgot to type that in..its at the stage when the kaya is cooked. Ready for blending..
How long did it take you to cook this?